Groundbreaking work by David MacFarlane of Michigan State University’s Department of Forestry should cause those interested in the shape of the nation’s future forest products industry to sit up and take notice. processing of dead and dying trees. On an annual basis, MacFarlane calculates, that is the board foot equivalent of the material required to build about 285,000 homes. All that from a resource that all too often has been considered waste to be disposed of in landfills. In recent years, MacFarlane and other research professionals have participated in a number of efforts aimed at building awareness of, and making better use of, the resource represented by urban forests. The efforts have resulted in a fledgling urban forest products industry with considerable potential to become an important sector of the larger timber industry. A The 2011 California Urban Forest Products Conference (a gathering of industry participants in San Francisco) represented one more step in demonstrating the premise that urban forestry is a growth industry sector capable of one day changing the business landscape for harvesters, processors, lumber merchandisers, and end users of lumber and other wood products. In the first half of the 20th Century, economist Joseph Schumpeter pointed out that while change created by entrepreneurial innovation creates economic growth, it can also lead to the destruction of older businesses, occupations, and approaches to business based on newly outmoded technologies or market conditions; firms not keeping up with the pace of change eventually perish. 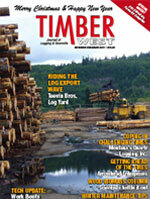 Few industries have seen as much change in recent decades as has the forest products industry. Some sectors of the industry were decimated by the winds of that change, but new industry sectors have seen considerable growth over those same decades. The California Urban Forest Products Conference opened a window offering a view of a forest products industry that may be on the edge of a significant growth spurt. The ground breaking conference had loggers, academicians, sawmill owners, craftsmen and women, contractors, representatives from state and local governments, and avid members of green activist groups all rubbing shoulders as they explored the potential for working together to promote the vitality, diversity, and health of the urban forest across California. Sponsors of the event included the California Urban Forests Council, the California Department of Forestry and Fire Protection, and San Francisco’s Friends of the Urban Forest, a group dedicated to working with individuals and neighborhoods to plant and care for street trees and sidewalk gardens in San Francisco. In the past, the concept of urban forestry has mostly been ignored by the traditional forest products industry. The lack of interest is partly based on a realistic appraisal of the difficulties inherent in relying on the urban forest for a dependable supply of fiber but lack of information about the potential the urban forest has in producing fiber to fill the nation’s need plays a part as well. On the other hand, innovative entrepreneurs, like those attending the California Urban Forest Products Conference have been, in recent years, actively exploring the potential offered by 3.8 billion board feet of available material suitable for conversion to useful product. It is likely to be some years before a strong national urban forest products industry becomes a fully developed and established sector of the larger and more traditional forest products industry. The California conference featured plenty of material spotlighting the difficulty firms will face in establishing and building a business based on urban forest products. However, based on information put forward at seminars, panels, and other presentations during the three days of the California Urban Forest Products Conference, there are strong indications that rapid growth and increasing stability for the urban forest industry of the future are not only possible, but likely. 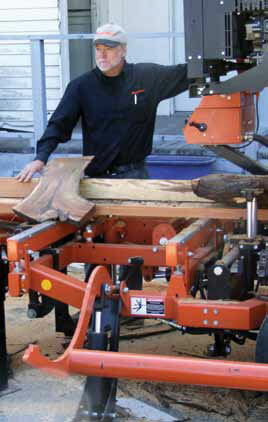 While not everyone’s cup of tea, participants in today’s conventional forest products industry might want to take a close look at where the urban based segment of the industry is going as it builds into a significant supplier of lumbers, especially specialty lumbers, to serve the nation’s future needs.